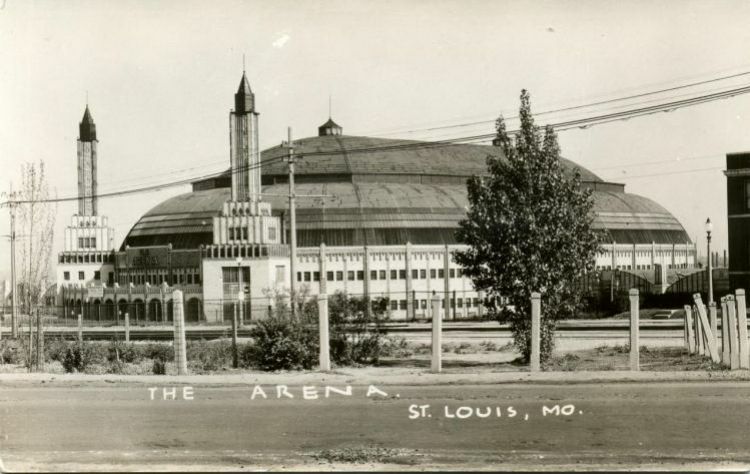 The Arena dominated the view from the southern part of Forest Park and US 40. It was designed by Gustel R. Kiewitt in association with Herman M. Sohmann. Because the Great Depression bankrupted the promoters, Kiewitt was never paid for his work.